Welcome to the new version of Join Up Dots, which we are beginning to start building from today onwards. These are big changes that fingers crossed will make a big difference to so many more people across the world. People who listen to the show everyday, but for numerous reasons fail to take that motivation into the real world to get the life that they want. They are consuming books, podcasts, YouTube Videos, buying courses and still not getting anywhere near to the life they want, and I now believe that it’s purely from doing things in the wrong way. They are joining up the right dots, but in the wrong way. You see most people feel that success comes to them once they get money, financial success or freedom into their lives. Which I for one would say that is a great benchmark for what everyone thinks is a successful life. In fact I think I would have said exactly the same thing a few years ago. However, now I would say that health is more important than wealth for a start. There is nothing more important in your life than being fit and healthy. As Steve Jobs once said “Who wants to be the richest man in the cemetery?”…..i certainly don’t for sure. So being healthy is a key element that leads to success, but what gets you to that point? Well let’s start by listing them in the order that they should appear…. Mindset – Is the key to everything. If you dont have the right mindset to be able to push through the obstacles and grow the possibilities around you then you will struggle. How many times have you started something and then thought “This is never going to work!” and stopped? That is because you didn’t have the right mindset. You didn’t have the skills that allowed you to find the keys to the locked door. Time – It is clearly evident to me that the majority of people want to keep their current life and try to shoehorn the new one into the gaps. This is of course is prone to failure and just leads to a feeling of overwhelm. Surely the better way is to make the space to allow for the new changes to grow and take shape? You wouldn’t just go into a garden and keep on planting seeds where everything else is already growing would you? So why do we think that this is the way to change in our own lives? 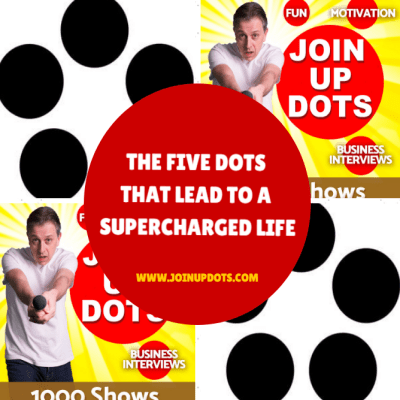 Health – I was not the biggest supporter of my health in the early days of creating Join Up Dots. In fact I’m still not the most active person, but I am trying. I try to sleep more. I try to meditate through a series of breathing exercises and I try to eat the right things. Should I be doing more exercises like running and the like? Well yes, i should but I don’t like doing it so I try to find the things that will make a difference in my own life. The same must go for you and to move forward to the life of success that you want you have to be focused on giving yourself the greatest chance of making a difference in your life. YOu need to make sure that your body is firing all cylinders and that my friends comes down to looking after yourself. Fun And Inspiration – How great is it to only be doing what you love doing? You wake up every morning with a Yay! instead of a Groan? Well i think it is mega important and I know that when I am doing something that inspires me and focuses my attention then the quality of work is better and the time goes quicker too. Why would you want to be working on something that bores you? It just doesn’t make sense, but I promise you the world seems to do this very thing. Madness. So lets look at the last of the five dots that lead to success…..which as I said at the beginning is normally the piece that people start on first. Finance and Business – This is of course where people consider success to lie, but as we have already spoken about it just doesn’t occur that way. You need to be ready for the battle and that comes with winning your inner game. If you join up you dots and really make a go and getting yourself mentally and physically in top condition then you are on you way to the life that you want. I hope sincerely that you enjoy the new and improved version of Join Up Dots and lets us know what you want to hear from us in the next few years moving forward.